Ships tomorrow if you order in the next 20 hours 59 minutes. Melatonin is naturally produced in your body and is responsible for helping you achieve REM sleep. At younger ages, production is highest, and as you age, it begins to slow. Other factors, such as poor sleeping habits and high levels of stress can disrupt melatonin production as well, causing less-than-desirable sleep results. 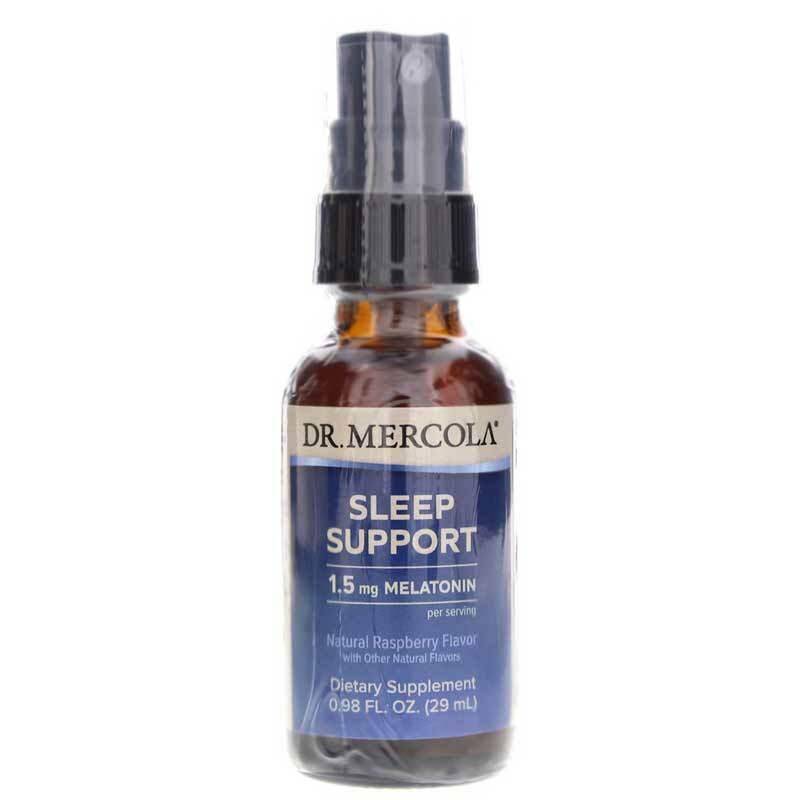 Melatonin Sleep Support from Dr. Mercola is an all-natural spray formula that contains melatonin, L-tryptophan, and other nutrients to help you get a good night's sleep. Dr. Mercola's Melatonin Sleep Support is conveniently pre-metered, so you can be sure you're getting a healthy dose with every spray. It's also ideal for any time of day and can be used on an empty or full stomach. Make the choice to get better, more restful sleep. Try Melatonin Sleep Support from Dr. Mercola today. Get a good night's sleep and wake up feeling refreshed so you can take on the day. Order now! 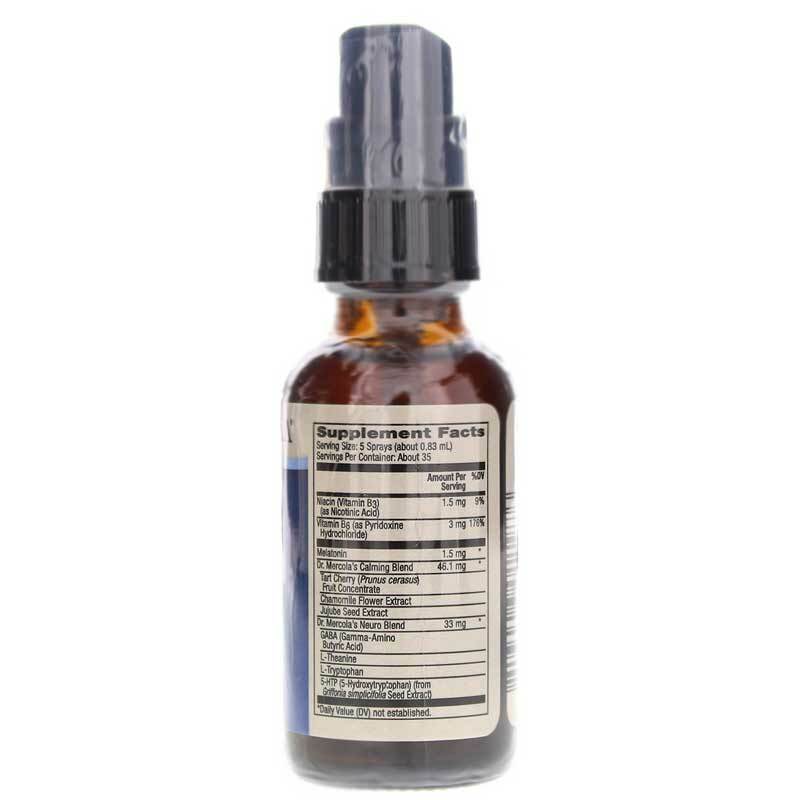 Other Ingredients: Water, Vegetable Glycerin, Xylitol, Natural Flavors, Citric Acid, Potassium Sorbate (to main freshness), Sodium Hexametophosphate, Guar Gum, Stevia (Stevia rebaudiana [Bertoni]) (Leaf) Extract. Adults: As a dietary supplement, shake before use, and take six (6) sprays an hour before bedtime as needed, or as recommended by a healthcare professional. For best results, refrigerate after opening. Before first use, break tab in front, push in child resistant lock and turn to right to unlock. Shake well and press actuator down 3 more times to prime pump. Do not spray in eyes. Do not use before or while operating a motor vehicle or heavy machinery. If you are pregnant, nursing, have an autoimmune or depressive disorder, are taking medication or have a medical condition, consult your physician before using this product. Keep out of the reach of children. Melatonin Sleep Support is easy to use and convenient. It is easy to modify the dosage since it is a spray, so people who need more or less can adjust accordingly. Melatonin Sleep Support Spearmint works great and it's all natural! I have tried many different natural sleep aides. This one I like the best. No side effects such as bad night mares. If I wake I go right back to sleep. Great Product !! !